Produktinformationen "Filament Nozzle Unit 1.75mm oder 3mm"
The 1730 Full Metal Hotend Nozzle Unit (FNU) forms the heart of the 1730 Full Metal Hotend and makes your 3D-Printing life so much easier. 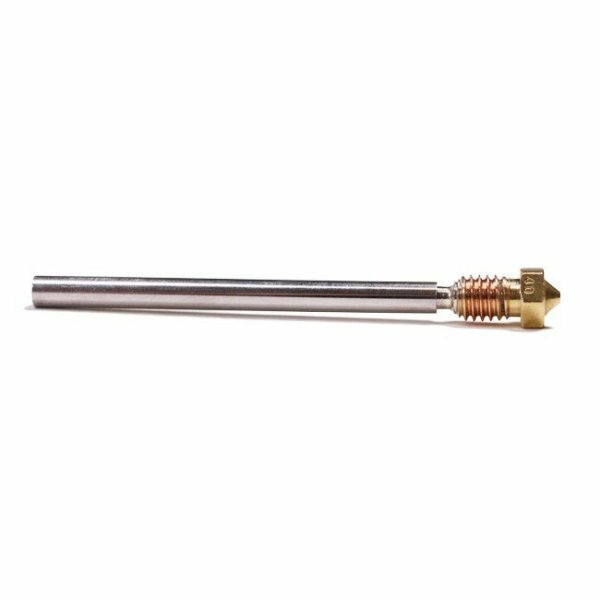 The Filament Nozzle Unit is made of high quality stainless steel with a brass nozzle tip. It is a single piece design which finally made a big annoyance a thing of the past: leakages. The FNU has an optimal thermal handling, reduces friction and has a all-integrated heat break. Weiterführende Links zu "Filament Nozzle Unit 1.75mm oder 3mm"
Kundenbewertungen für "Filament Nozzle Unit 1.75mm oder 3mm"